C6 is the perfect tuning for breadboarding, no doubt about it. For those of you who don’t know the term “breadboarding,” it has to do with electronic circuits and how experimenters will use a breadboard as a construction base to create prototypes of circuits. Simply moving wires and jumpers around with solderless connections makes the experimentation much easier. In a past life I spent a lot of time with electronics…. For purposes of this discussion, I will be referring to this version of C6, from low to hi: G A C E G A C E. If you are looking to step outside of the box a bit and play some things that are a bit out of the ordinary for steel guitar, tweaking the C6 can play an important role in helping you achieve the chord qualities you are looking for. 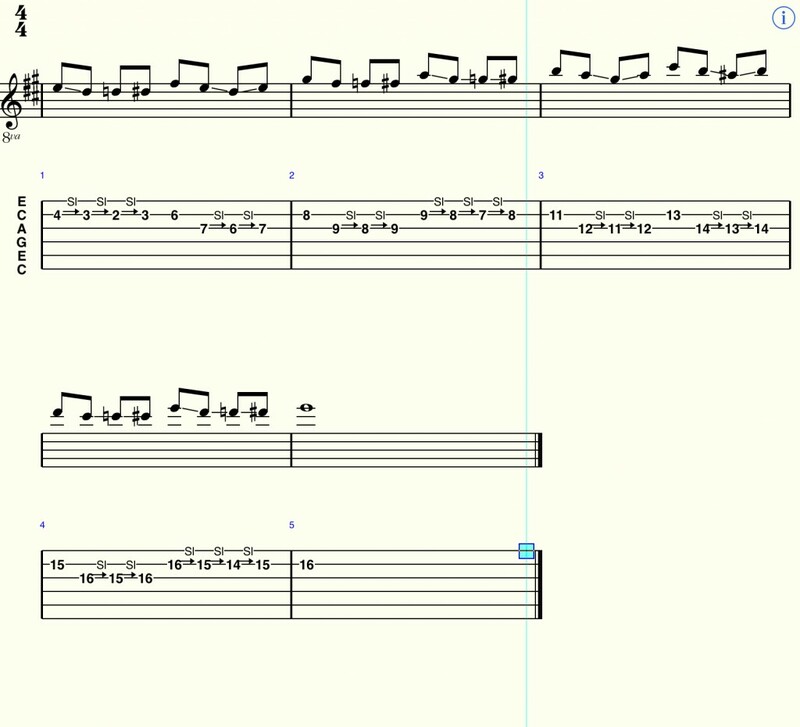 The most obvious tweak would be tuning the lowest C (in my tuning, string 6) to C#. This gives you the C6/A7 tuning which, in my opinion is necessary for playing Jazz and even any kind of chord solo work. The importance of the dominant chord in that tuning can’t be stressed enough. Also, contained within the span of strings 4, 5 and 6 is a diminished triad. Crucial. Another common tweak is to tune string 7 (A) up to Bb for a C13. This eliminates the root for our minor chords, which I feel is pretty important note to have for playing Jazz standards and even some Rock tunes. There are some arrangements I play, though, that are based around this tuning, particularly Mercy, Mercy, Mercy and Yellow Roses. What if we tweak both the C string and the A string up a half step? I got this little tuning from Billy Hew Len (although he did it with the A6 tuning) and I quickly recognized it as a tuning used by the great Joaquin Murphey. Joaquin used a C6 tuning with a high G string later on, and he would also raise his C and A strings 1/2 step. A good example of this sound can be found on Spade Cooley‘s Dance-A-Rama record. You can hear an example of this tuning (my version with a high E) on this recording of Coconut Grove. It makes use of a lot of altered dominant chords. There are other places we can tweak the tuning, too: my favorite is to re-tune string 8. I have several variations on it and all of them give me different results. The most common for me is to tune string 8 to F, especially for playing chord melodies. I approach it a little like John Scofield does when he is playing solo–he stabs at individual chord tones just to establish the harmony in the listener’s ears while he plays a melody or improvises on top of it. Sometimes that chord tone will only last for an eighth note. String 8 also serves me well for playing more modern Jazz, such as Herbie Hancock and Eddie Harris, by tuning it down to D. There I have what we call slash chords (a triad over a different bass note), particularly the 11th chord flavor, ie. C/D (C triad over D bass note). A great, nebulous sound. There are other very useful ways of changing the value of a C6 tuning by changing 1 or 2 strings. For those of you familiar with Speedy West, he occasionally used a tuning (although on a pedal steel) which was called F#9. Essentially what it is is an E6 tuning (low to hi B C# E G# B C# E G#), with the B strings tuned down to A#. If you look at the C6 tuning that I use (with the E string on top), it is the same structure as the E6 tuning down a major third. So, in this case we simply lower our G to F# and voila! : we have D9 tuning. I am currently beginning another book–this time on creating block chord arrangements or chord melodies. I will be using my C6 tuning for the basis of the entire book, but I will also be sharing some of my secret tweaks. I am really looking forward to the challenge of teaching this! In the meantime, I hope you continue to explore and have fun and always remember that lurking somewhere inside of you is you! Let’s give him every opportunity to find his voice on the steel guitar. Always play with the curiosity of a child.